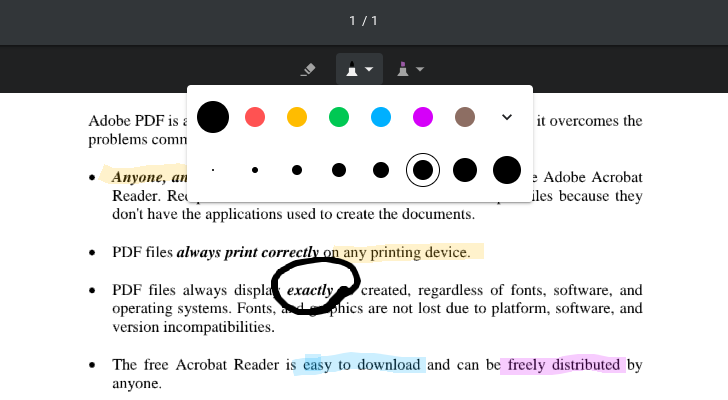 If you needed to edit PDF files on your Chromebook, you had to use external tools — either Acrobat for Android, or one of several online web apps. 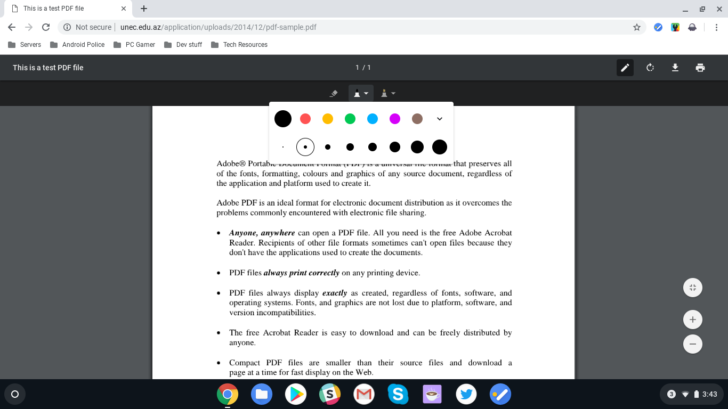 Thankfully, Chrome OS will soon have built-in annotation features, as a new flag for the functionality has appeared in the Dev and Canary branches. If you're using Chrome OS 74 (currently in the Dev/Canary branches), you can go to chrome://flags and set the #pdf-annotations flag to Enabled. Afterwards, you'll see a new pen icon at the top right. Clicking it will give you various annotation options, including a highlighter, eraser, and pen. Various color and size options are available. This is probably something that most people won't use, but it's nice to see Google giving Chrome OS another helpful feature. Assuming there aren't any last-minute bugs, this could appear in the final Chrome OS 74 update, expected to be released around the end of April.